Please enter the initials you would like on your necklace separated by a comma. 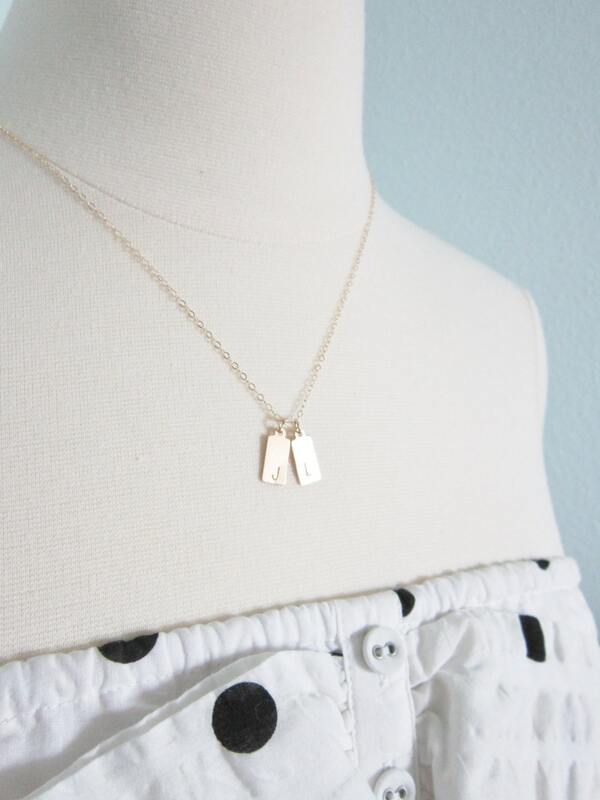 Choose from one, two or three tiny gold filled tags personalized with the initials of your choice hang from delicate gold filled chain. I chose me and my hubby's initials!! Capital letters only, indicate the letters of your choice at checkout. Letter placement may vary slightly as they are all hand stamped by me. Smooth transaction; item is just as advertised. Delicate, sparkly, classy. Shipped within the advertised timeframe. I’ll buy from this seller again. Timely delivery, seller provided good communication and item was as described.